Know what the world's most profitable companies and developed countries have in common? 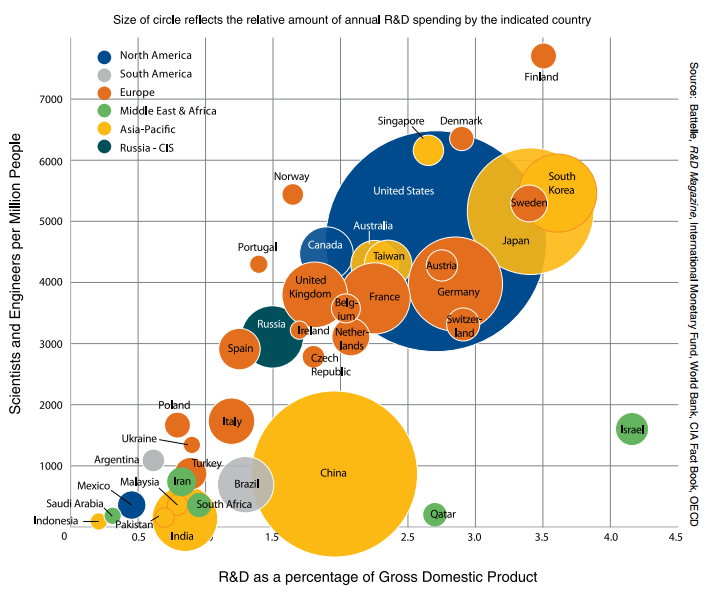 They spend heavily on R & D. The put aside a considerable percentage of their income to conduct research and development. They keep trying to better their skills and productivity. They don't just eat all their profits or put everything back into running the business/country, they painfully set aside some to fund R & D.
If the group of countries we aspire to join are spending heavily on finding a better way of doing things and making life easier for their citizens, then why shouldn't we who need improvement of living conditions most do the same. If the companies we invest in either directly by buying their shares/bonds or indirectly by paying insurance premium and pension contributions (which is ultimately invested in stocks and bonds) are not reinvesting all their cash in expanding the business but setting aside a part for R & D, then why shouldn't we set aside a part of our income to do personal R & D.
We should spend on our own professional development. I don't mean by buying motivational books and doing positive confession. Even churches while expanding and building more branches do not give the contract to their most prayerful members or the ones you do the most positive confessions. They seek out professionals with hard-earned technical skills and experience. R & D is not everything you spend on outside your feeding, clothing and housing. R & D is beyond attending Forever Living products and Organogold seminars. R & D is not running here and there hoping to hit something big someday. R & D is about being focused and picking a clear profession/business, then being at the learning and development forefront of that profession/business. It's about having a goal of doing what you currently do much better and faster. You need to form the habit of setting aside a part of your income for this. To make it a consistent thing. In the end you will be the best at your profession or your line of business and get more done with less. You beat the competition twice -- first, by using less to achieve more and, second, by providing superior services/products.